Interest in new trends is an all-time high, evidenced by the chronicles of countless Instagram posts and social media interactions. As men’s shows end, men’s wear maniacs are obsessing on what 2017 has in store for them. Our curiosity drives us to bet on flood pants, leopard print and oversize suits as the most likely trends that may hit the global stage. While this year has seen numerous sporty and seventies-styled thigh grazers in the shows, we expect to see slightly longer shorts. 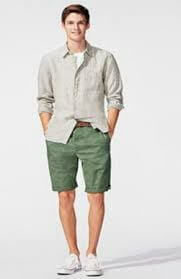 The new shorts features slim designs with no turn-up, and pressed with cuts to provide something breathable. The patterns are significant with Navy dominating the prominent spots of the shorts. 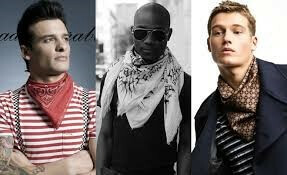 In addition to the conventional sunglasses and caps, neckerchiefs will be a necessary accessory for men. 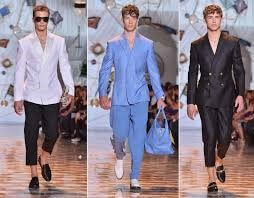 They were quite visible at the Paris catwalks and even more conspicuous in London and Milan Shows. 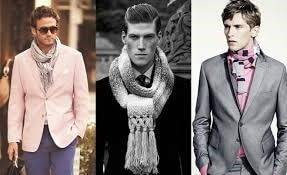 The trend involves tying or folding the neckerchief under the lightweight crew necked jumpers. 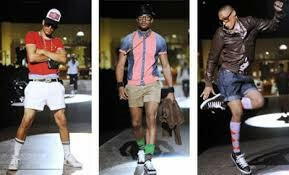 As the summer sets in, fashion enthusiasts are looking for the grandfather’s best short-sleeved shirts. The 1950 designs are likely to feature in a season that is very likely to get hotter and possibly ditch the heavy knitwear and oxford shirts. Consider the lightweight shirts that come with a retro Cuban Collar and do not fear to get bold. The Raw coast brings a shift in minimalism that leans more towards natural environment, coastal classics, and modern luxury. With clear lines, organic feel and delicate utility, it is an accurate reflection of elegance. It pays homage to the seas thanks to a myriad of maritime graphics. The seasons seem to take much from Cuba, perhaps because Cuba is opening its gates to the world. The rich culture and the exotic mysteries remain critical towards inspiring new trends as well as quenching the thirst for those craving for romance on the brightly colored structure and tropical beaches. It is an accurate reflection of the bliss of life, the peeling paints of the buildings as well as the lush flowers on the trees. 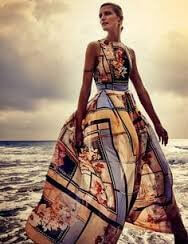 Fashion has converged the past and present to dance to a similar tune, as they celebrate the rich past and exciting future. 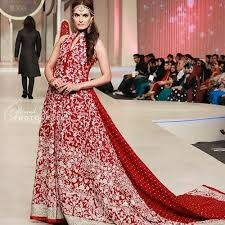 Fashion evolves as people travel across different nations and get new insights to their creative ideas. If you are an environmentalist, you cannot miss the stunning features that inspire harmony in the modern multicultural world. Foreign souvenirs show a different perspective but are best when done in unpredictable style.